Have you filled out your NCAA bracket yet? 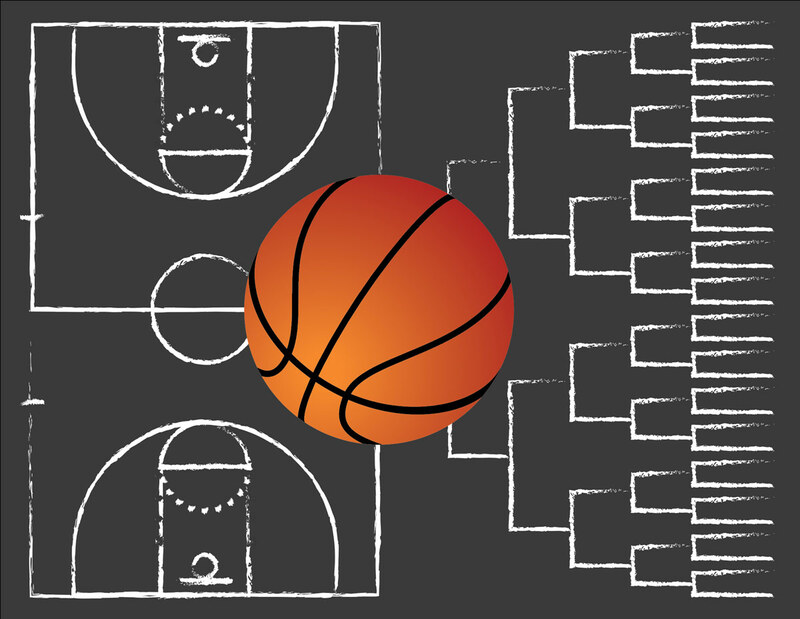 Whether you’re entering an office pool or trying to win the Yahoo Sports Best Bracket Millionaire Contest, the Evolytics College Basketball Game Predictor just might give you the edge you need to beat out the competition. 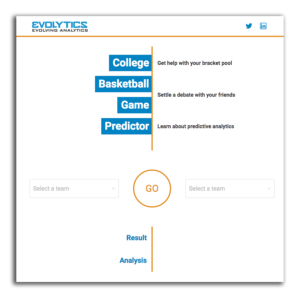 The Evolytics Predictive Analytics Team built a predictive algorithm that analyzes multiple years of college basketball team data and deployed this as the foundation of a machine learning model that will continue to refine itself after each game — and then make predictions on future games based on patterns in the data. How did we do it? By using the NBA Elo calculations from Nate Silver of FiveThirtyEight as a foundation, we created a specialized Elo machine learning model with an impressive log loss score and matched it with a simple UI to enable anyone to use and understand the tool. New to the term machine learning? This term describes a computer science subfield that analyzes algorithms iteratively to find hidden insights, but without being explicitly told where to look. Machine learning models power the artificial intelligence driving include Google’s self-driving car, Facebook’s personalized news feeds, and Amazon’s product recommendations to customers. Machine learning is changing the way our clients operate their businesses. Our team is really proud of the work we are doing in the field of predictive modeling and machine learning. Because we can’t share details around our client projects, the team decided to build this predictive engine with college basketball data to showcase our forward-thinking skills and technical innovation…while having fun and contributing back to the data science community all at the same time. What I find most impressive about projects like the College Basketball Game Predictor, is that no single Evolytics team member could have completed this project solo, and none of them wanted to. This was a collaborative, cross-functional project created by analytics developers, data engineers, statisticians, marketing analysts, and sports fanatics. The team worked together to ideate, problem solve, push one another, and deliver an awesome product that we are excited to share with you.